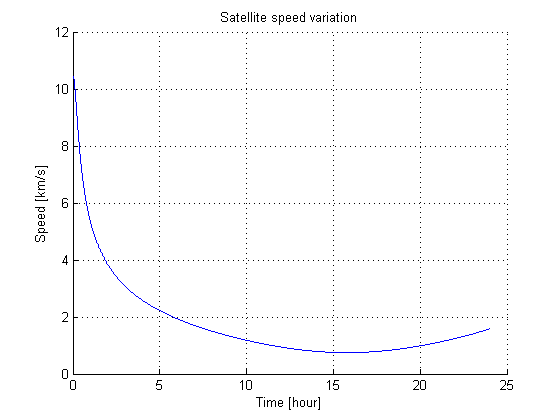 The initial position and velocity of an earth orbiting satellite in earth centered inertial frame is known. 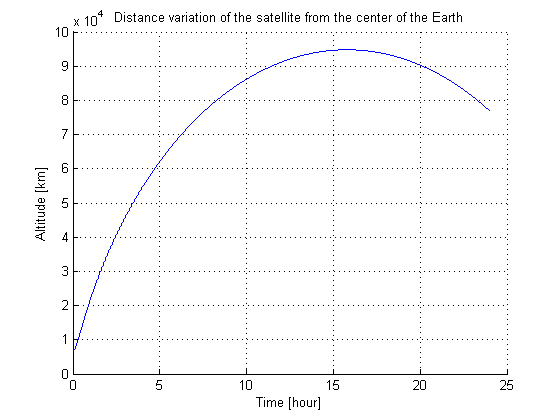 In this example we will numerically solve fundamental equation of relative two-body motion to find the distance of the satellite from the center of the earth and its speed after 24 hours. 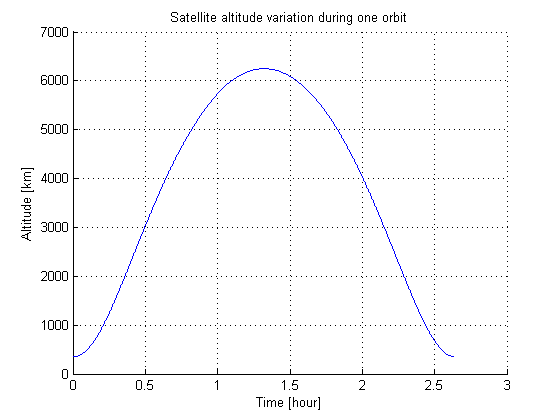 Given initial position and velocity of an earth orbiting satellite at a given instant.In this example we will numerically solve fundamental equation of relative two-body motion to find the maximum altitude(apogee altitude) reached by the satellite.